In this lecture population inversion is explained one of the important parts of the laser and how to achieve it, what are the possible methods are available. In general the number of atoms are more in ground state as compared to the excited state. 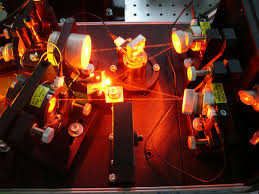 For the laser action we require larger number of atoms into the excited state. This is explained on the basis of Boltzmann distribution law. Visualization of energy level and the number of atoms in normal condition and in the situation of population inversion. Hi there, I discovered your web site by the use of Google whilst searching for a related subject, your site got here up, it appears to be like great. I have bookmarked it in my google bookmarks.